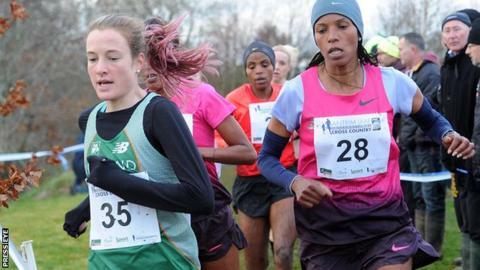 This year's IAAF Antrim International Cross Country event will take place in March as opposed to its regular date in the early weeks of January. The 2015 meeting will take place at Greenmount in Antrim on 14 March. Despite the later date, organisers are confident the usual quota of world-class African athletes will be lured to the Antrim venue. The IAAF permit event will be held concurrently with Athletics Northern Ireland's staging of the Home Countries International event. The 2013 World Cross Country champion Japhet Korir won last year's men's race at Greenmount when Ethiopian-born Mimi Belete, who represents Bahrain, triumphed in the women's event. Other African stars who have triumphed at the meeting during its 37-year history include Paul Tergat, Ismael Kirui and Moses Kipsiro and Mike Kigen, who earned three successive victories from 2010-12. Steve Ovett (1977, 1984), Liz McColgan (1987, 1988) and Paula Radcliffe (1994, 1996, 2000, 2001) are among British stars who earned multiple wins in the Northern Ireland event. Other big names to have competed at the event's various venues of Mallusk, Barnett Demesne and Stormont include Eamon Coghlan, Catherina McKiernan, John Treacy and Serhiy Lebid. Even though this year's World Championship will take place two weeks later in China, Athletics Northern Ireland's General Secretary John Allen is confident that strong fields will assemble at Greenmount. "We will have the usual contingent of world-class Africans but we also believe that a number of European athletes who may not opt to travel to China may take the decision to race at Greenmount," said the Athletics Northern Ireland official. "We will be releasing names over the coming weeks but are confident that we will have two strong fields." At this stage, race organisers have not yet approached twice women's Antrim winner Fionnuala Britton but they are hopeful that the Wicklow woman may opt to compete ahead of her expected World Championship challenge in Guiyang on 28 March.